Are you looking for an entertaining slot machine to spin? Don’t look that far! 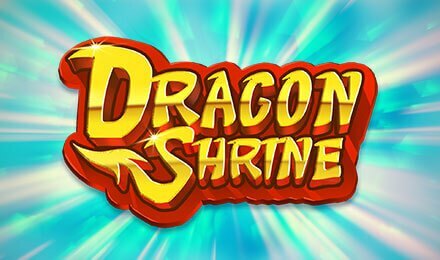 Dragon Shrine slot might be the perfect sparkly and Chinese themed .related slot machine for you! This 5 reels and 40 paylines game was crafted by the software maestro – Quickspin and you are bound for some top potential wins. Filled to the brim with graceful gemstones, make the most out if this game and seize the chance to launch rewarding features. The bigger ins will come in the Free Spin Feature so keep your eyes wide open! To pepper up your gaming sessions on Dragon Shrine Slot, you will find a barrel of symbols that are all in all interesting. There are the usual playing cards which include the following: K, J, 10, Q and A. These are also the lower value symbols. Then, to add to your spinning happening, you will find some well-designed colourful gemstones that shine its thousands of lights over the slot. As the reels swirl, you will find a show of gemstones coming straight on your screens. Log in and play for real. Bet Levels: On Dragon Shrine Slot there are no Bet Levels. Amount of Paylines Selection: There are 40 Bet Lines that all remain fixed during your spins. Coin Values: If you’ve been looking for the coin values, you won’t find any! There’s only the Total Bet that ranges from 0.20 to 80.00. Choose the option that suits you the best and swirl the reels for some potential wins. Looking for the wild symbol? It’s the icon labelled with the word WILD. It can take the place of all the symbols apart from the Bonus Scatter ones on Dragon Shrine Slot. The bonus scatter symbols on Dragon Shrine Slot is depicted by the green pagoda and it makes an appearance on reels 2, 3, 4 and pops up during both the Base Game and the Free Spins. In the event you get 3 Bonus Symbols, you will activate 10 Free Spins. Amazing, right? How is the Dragon Stack Respin Feature launched on Dragon Shrine Slot? It is activated by a full stack of Dragon Symbols on the first reel. When the feature is triggered, every wild symbol and dragon ones will lock on the reels and it will result in 3 Respins. The line wins will be evaluated when the feature ends. How will the Free Spin Feature launch, on this Chinese themed slot? Well, anytime you find 3 Bonus Scatter symbols that come into view on a single spin, you will bask in 10 Free Spins. Now, when the Free Spins is triggered, the Dragon Stack Respin Feature can be activated either from a full stack of Dragon Symbols landing on reel 1 or 5.